A man was left in hospital after drivers got into a fight. 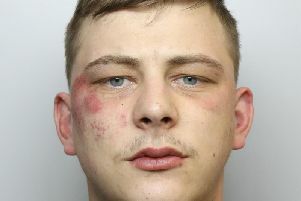 Police said a 24-year-old man, who was driving a grey Ford Fusion, had an altercation with the driver of a silver or grey Ford Focus on Geldard Road, near Birstall Retail Park. The Ford Fusion driver was left injured by the other man’s car as he drove away and is being treated in hospital following the incident at around 2.30pm on Thursday. Police are trying to trace the Ford Focus driver, who was described as being olive-skinned, of average build with a big nose, black hair which was short on the sides and longer on top. He was wearing a black body warmer and jeans. He also had a foreign accent and spoke in broken English, police said. Det Insp Stef Wiseman, of Kirklees CID, said: “We are keen to trace the other driver, who we believe may have been injured during the fight, to speak to him about the circumstances of the incident. We are appealing directly to him to contact us at the earliest opportunity. Anyone with information is asked to contact Detective Constable Oliver Scoones at Kirklees District CID on 101, or by calling Crimestoppers anonymously on 0800 555 111.